My son is five years old and outgrew a sippy cup when he was three. He has always been a big water drinker, and sippy cups just weren’t doing it for him. They hold hardly anything! I was filling it up what seemed like every 10 minutes. He started “borrowing” my Contigo water bottle, and eventually I realised the kid needed one of his own. There are a few different types of Contigo water bottles to choose from. I have what I call the “button” type, which only releases the water when the button on the back is pushed, and Elliott has the straw kind. He can use both during the day, but at night if he tries to use the button type, he spills it all over himself. But the straw type is perfect for a sleepy little one. They have to sit upright to drink, and the straw helps to keep the water where it belongs. I have heard from several mums with kids around his age who are in awe that I can get him to drink so much water. But in reality, I was blessed with a boy who loves his water, and Contigo has helped us to keep him hydrated. 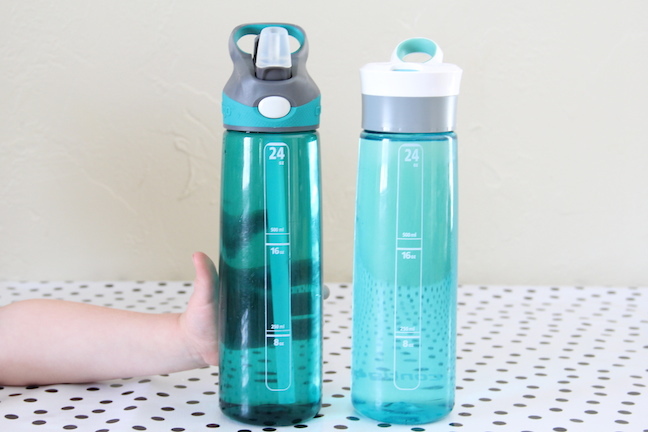 The bottle holds 24 ounces so refills are a lot less frequent. Contigos are also awesome for on the go! We take them everywhere with us. To the park, the pool, the movies, you name it! 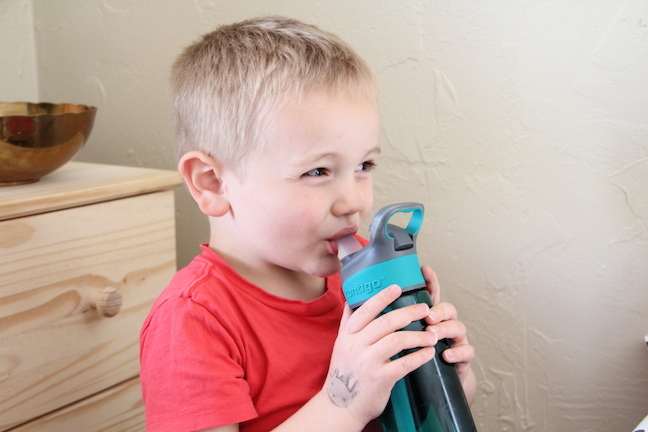 If you are hoping to get your kid to drink more water, I highly recommend Contigo. They will think it is awesome that they have a cool new bottle just for them.